You might be asking yourself, "How do I get to Neverland?" No worries. Neverland is coming to you! The new Broadway musical Finding Neverland will sail its mighty and magical ship on a national tour during the 2016-17 season. 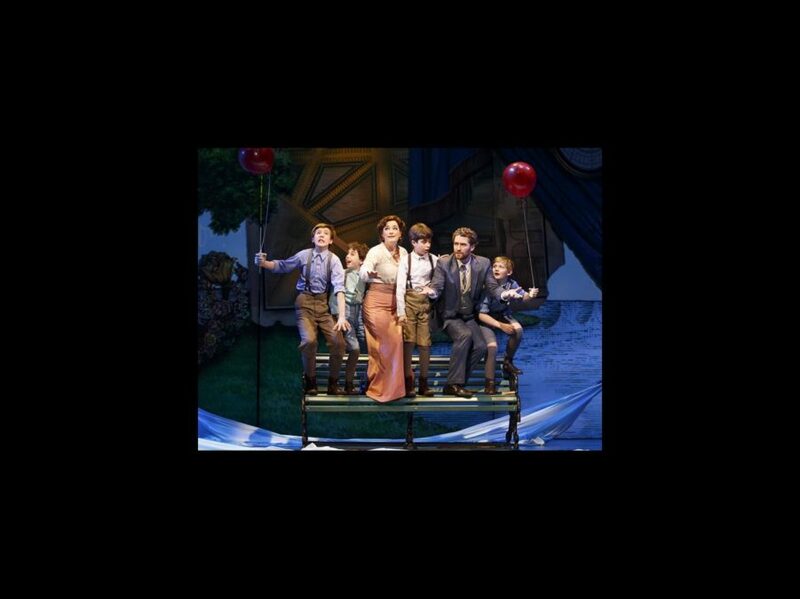 The musical, currently playing at the Lunt-Fontanne Theatre, stars Matthew Morrison, Laura Michelle Kelly and Kelsey Grammer. The U.S. tour will kick off in Upstate New York on October 7, 2016. Casting and official dates will be announced shortly. Based on the Academy Award-winning film by the same name, Finding Neverland follows playwright J.M. Barrie as he summons the courage to become the writer—and the man—he yearns to be. Barrie finds the inspiration he’s been missing when he meets the beautiful widow Sylvia and her four young sons: Jack, George, Michael and Peter. Delighted by the boys’ hilarious escapades, Barrie conjures the magical world of Neverland and writes a play unlike any the high-society London theatergoers have ever seen. It’s a tremendous risk, but as Barrie himself has discovered—when you believe, you can fly. "After seeing Finding Neverland on Broadway, I was immediately ‘hooked,’ and know that our audiences across the country will be, too," said Broadway Across America’s CEO John Gore, in a statement. "We look forward to bringing this inspirational story of love and wonder to all of our North American cities." Directed by Tony Award winner Diane Paulus (Pippin), Finding Neveland has a score by Gary Barlow (Take That) and Grammy Award winner Eliot Kennedy, book by Olivier Award nominee James Graham, and choreography by Emmy Award winner Mia Michaels (So You Think You Can Dance). Watch the cast of Finding Neverland sing songs, including “Believe,” “Stronger” and “All That Matters,” in the video below!